2.17 Kahn, Litwin, Renza & Co.
CPA newsletter is a comprehensive summary of the day's most important blog posts and news articles from the best CPA websites on the web, and delivered to your email inbox each morning. To subscribe, simply provide us with your email address. About Blog CPA Trendlines is the world’s only research and advisory service focused solely on the tax, accounting and finance professions. We use a time-tested, quality-proven, proprietary blend of data, analysis, community, experience and imagination to produce extraordinary value for our clients. Facebook fans 2,571. Twitter followers 25,011. Facebook fans 256,461. Twitter followers 74,911. Facebook fans 11,426. Twitter followers 50,171. Facebook fans 25,704. Twitter followers 30,170. San Francisco, CA About Blog The subreddit for CPA Candidates, Certified Public Accountant (CPA) Come here if you are looking for guidance to becoming a CPA. Study material suggestions, study tips, clarification on study topics, as well as score release threads. Tags: Certification, Accounts, Tax, Study, Help, Group. About Blog Another71.com is the most-visited CPA Exam site on the Internet with upwards of 1 Million page views a month. It is your one stop shop for CPA Exam news, forums, study tips, materials and more. Facebook fans 48,085. Twitter followers 19,250. Winooski, VT About Blog CPA Site Solutions was founded in 1999 with the mission of helping accountants take advantage of the growing opportunities on the Internet by building CPA websites. CPA Site Solutions blog is your one-stop resource for digital marketing tips for accounting firms. Facebook fans 947. Twitter followers 2,928. Vancouver About Blog The chapter’s goals include promoting the CPA brand and encouraging camaraderie and networking among members, students and candidates in the Vancouver area. Facebook fans 583. Twitter followers 1,834. California About Blog CalCPA’s 40,000 members are indisputably California’s finest CPAs, leading business and finance professionals, students and educators, dedicated to an unparalleled level of integrity. We receive tremendous support from CPA firms and employers and we exist to support the profession. Facebook fans 64. Twitter followers 8,753. About Blog The CPA Western School of Business (CPAWSB) delivers the CPA Professional Education Program (CPA PEP) and the CPA Advanced Certificate in Accounting and Finance (ACAF) in Western Canada. CPAWSB also offers CPA preparatory courses that provide the knowledge requirement for admission to CPA PEP and entry and technical courses for ACAF. Facebook fans 318. Twitter followers 112. About Blog Our mission is to go beyond providing the continuing professional education (CPE) credits that CPAs and other professionals must earn to maintain their professional credentials; instead we aim to serve as the most reliable and trustworthy source of the practical and timely information CPAs, EAs, and other tax and financial professionals need to excel professionally. Facebook fans 3,338. Twitter followers 536. Alpharetta, GA About Blog Xcentric partners with CPA firms across the country to provide expert technology guidance and peace of mind. We're a team of professionals that are laser focused on providing hosted and managed technology platforms for the accounting industry. Our industry expertise, technological expertise and thought leadership have been developed from serving the CPA community for over 20 years. Facebook fans 194. Twitter followers 1,205. Newport Beach, CA About Blog ClientWhys helps Tax Accountants, CPAs & EAs stand out from the crowd with leading edge website design, email newsletters, marketing & secure portals. They offer a suite SaaS applications, Connect, Persyst, Socialize, and our Content Library. So whether you need an entire client communication hub, that includes your website, portal, newsletter, blog content and more, or just a part of the puzzle. Facebook fans 497. Twitter followers 2,765. 17. Kahn, Litwin, Renza & Co.
Boston, MA About Blog KLR is one of New England’s premier accounting and business advisory firms. The mission of KLR is to provide the highest quality accounting, tax and advisory services. Each member of the firm will constantly strive to exceed client expectations in all instances, by stressing timely, personalized service utilizing the latest in technological innovations. Facebook fans 430. Twitter followers 995. Global About Blog Surgent CPA Review helps you pass the CPA exam the first time with a customized CPA exam study guide. Facebook fans 3,687. Twitter followers 1,050. Fremont, CA About Blog Sanjiv Gupta CPA firm specializing in assisting clients with income, assets or businesses in foreign countries. We also specialize in FBAR and foreign tax filings. We can help you with Income Tax Filings, Sales Tax Filings, Payroll, & Business Set Up. Facebook fans 565. Twitter followers 22. About Blog The Real Estate CPA blog is the best source of information for real estate investors and business owners to learn about finance, accounting, and taxation. Facebook fans 310. Twitter followers 145. California, USA About Blog California Cannabis CPA is the premiere CPA firm that helps individuals and companies working in the Cannabis Industry with all tax planning, compliance, preparation, savings, and peace of mind. Facebook fans 875. Twitter followers 56. Kansas City, Missouri About Blog Michelle L. Long, CPA and owner of Long for Success, LLC is one of the top QuickBooks experts in the country, an accounting industry thought leader, and a sought-after speaker and author. Mission is to help accounting professionals, bookkeepers or accountants, tax preparers and specialists, QuickBooks consultants and ProAdvisors, IT consultants and more! Facebook fans 2,256. Twitter followers 3,365. About Blog Grassi & Co. is a leading accounting and business consulting firm. We serve a diverse range of clients in the New York metro area and around the world. The Grassi & Co. mission is the driving force behind our firm, our strategic plan and our overall service delivery. Facebook fans 359. Twitter followers 811. About Blog Katz, Sapper & Miller, one of the top CPA firms in the nation, provides tax, accounting and consulting services for a wide range of industries. This blog delivers the latest commentary on tax, accounting and industry issues by Katz, Sapper & Miller’s professionals. Sign up to receive updates. Facebook fans 553. Twitter followers 1,019. Facebook fans 2,897. Twitter followers 10,749. About Blog MoneyThumb's user-friendly conversion applications make transitioning between popular accounting software easy. Our products get your finances under control and in one place. Facebook fans 99. Twitter followers 111. Canada About Blog ConnectCPA is a forward thinking Online Chartered Accounting firm specializing in Tax and Accounting services with a focus on cloud technology solutions. Blog posts about Accounting, Tax and Technology by ConnectCPA, Chartered Accountants. ConnectCPA is a progressive accounting firm specializing in Online Accounting. Facebook fans 429. Twitter followers 840. Indianapolis, IN About Blog Hi, I'm Amy. I'm a CPA who works with entrepreneurs and small business owners all over the U.S. to help build confidence and peace of mind with their business structure, bookkeeping, and taxes. Morrisville, NC About Blog NCACPA is the essential resource for North Carolina CPAs. Follow now and learn more about member benefits and professional development opportunities! Our mission is to promote the competence, integrity, civic responsibility, & success of NC CPAs. Our vision is to be the essential resource for the NC CPA. Facebook fans 1,646. Twitter followers 3,151. Indiana About Blog CPASelfstudy is a CPE provider committed to providing useful and practical CPE at a competitive price to CPAs. Mission is to provide high quality CPE courses at an affordable price. This blog covers topics of interest to CPAs with a major focus on Microsoft Excel but covers other topics of interest. Facebook fans 205. Twitter followers 160. Chicago, IL About Blog The Founder’s CPA (formerly Startup Accounting Advisors) is a Chicago Small Business Accounting firm operated by Curt Mastio, CPA. Blog explores the accounting industry and provides a place to discuss ideas pertaining to accounting practices for startups and small business. Facebook fans 355. Twitter followers 21,324. New York, NY About Blog New York CPAs: Margolin, Winer & Evens LLP provides accounting, auditing, cost segregation and tax services to businesses across a variety of industries. About Blog HomeschoolCPA is me, Carol Topp, CPA, a retired homeschooling mother and Certified Public Accountant, specializing in helping nonprofit homeschool organizations. Facebook fans 830. Twitter followers 487. US, Canada About Blog Our Blog is a collection of lessons, insights and observations borrowed from our books, work, life and ongoing client experiences. It all started simply enough from a hand-written notebook of insights and observations from successful deals, thriving practices, ambitious owners, optimistic sellers and eager buyers. Facebook fans 473. Twitter followers 479. Houston, Texas About Blog Physician CPA and consultant Reed Tinsley advises doctors, physicians, medical groups, and healthcare entities on managed care, operations, and business strategy. This blog is committed to providing practical and timely information, addressing needs, and answering medical practice management questions. Serving the Bay Area About Blog SAFE HARBOR LLP is one of the top-rated CPA firms in the San Francisco Bay Area. We help individuals and businesses minimize their tax liabilities and make the tax planning / financial process as easy as possible. Facebook fans 22. Twitter followers 171. New York, USA About Blog CPA For Freelancers™ A licensed, New York City-based Certified Public Accountant (CPA) who works with freelancers, the self-employed, s-corps and small businesses in Manhattan and the greater NYC area. Get Tax, Accounting and Business Advice for the Self-Employed. Facebook fans 93. Twitter followers 296. Facebook fans 285. Twitter followers 500. Itasca, IL About Blog CDH is a premier international accounting & consulting firm. We help privately held companies grow by providing accounting, HR, IT and business support. Our mission is to provide a five-star experience to our clients and our team members. Facebook fans 238. Twitter followers 608. Facebook fans 491. Twitter followers 61. Laurel, MD About Blog The elementsCPA team offers straightforward advice and information, including a rundown of potential tax penalties for individuals, shifting perspectives on spending and saving for individuals and businesses, understanding cost deductions, and timely tax tips. Facebook fans 47. Twitter followers 147. Portland, OR About Blog Delap is one of the Northwest's largest locally owned public accounting firms. Delap takes a holistic approach to client service, providing audit, tax, and consulting services to assist clients in meeting their strategic goals and business needs. Stay up to date on the most recent accounting news, tax policy information and updates, accounting, and financial industry information. Facebook fans 281. Twitter followers 907. Austin, Texas About Blog The Mangold Group, CPAs, PC is a full service public accounting firm. Our firm experience is wide and varied with over 100 years of combined experience in highly complex accounting and tax matters. We have worked in many industries and companies of every size and a wide range of needs. Facebook fans 129. Twitter followers 763. Facebook fans 500. Twitter followers 34. Dallas, Texas About Blog The Texas Society of Certified Public Accountants is Texas' professional association for CPAs. TSCPA has more than 28,000 members in public practice, business and industry, government, and education. We are committed to promoting excellence in the accounting profession! Our mission is to support its members in their professional endeavors and to promote the value and high standards of Texas CPAs. Facebook fans 2,514. Twitter followers 426. Baltimore, Maryland About Blog The Business Learning Institute CPA on Success blog provides insights on succeeding in your career from our staff and team of thought leaders. Facebook fans 245. Twitter followers 979. Oklahoma City, OK About Blog Sean M. Hugo CPA is an Oklahoma City-based CPA firm specializing in tax return preparation, payroll, business planning & full service CPA solutions. Facebook fans 231. Twitter followers 29. Dallas, Texas About Blog In addition to his CPA and Accounting expertise, David M. Kurtz enjoys writing informative blog articles relating to business income tax strategies. We have significant knowledge and experience working with multi-entity, multi-state and international businesses, especially in the real estate industry. Facebook fans 48. Twitter followers 1,093. About Blog Providing meaningful, organized financial record keeping and information to our clients in a timely and accurate manner is our commitment. We cherish the trust our clients have placed in us and our common purpose is to positively affect the quality of life for our clients, associates, families, friends, and communities. Reston, Virginia About Blog CST Group CPAs is a full-service accounting, tax, audit and business advisory services firm serving Northern Virginia and the DC area for over 40 years. The CST Group's mission is to deliver forward-thinking, client-centric services and expertise from top-tier professionals—not just during tax season, but year-round throughout the evolution of your business. Facebook fans 113. Twitter followers 98. Crestwood, KY About Blog At Lindemeyer CPA, we believe in the value of relationships. We view every client relationship like a partnership, and truly believe that our success is a result of your success. Our team of experienced and knowledgeable professionals help meet your goals by maximizing wealth and minimizing risk through proven tax strategies, accounting services, efficient tax preparation and planning services. Facebook fans 129. Twitter followers 54. Facebook fans 21. Twitter followers 2,007. Ohio USA About Blog Rita Keller, an award-winning and widely respected voice to CPA firm management, is uniquely positioned to help CPAs and their teams face rapid and significant change. Mission is to proactively help CPAs position their firm as a firm of the future. A firm where the next generation of CPAs will want to stay and build their careers. Facebook fans 110. Twitter followers 4,542. Lansing, Michigan About Blog Maner Costerisan is a full-service CPA and advisory firm with specialization in providing expert fraud and forensic services. North America About Blog Since 1956, dental practitioners have counted on our team of dental accountants and dental CPAs for high-caliber guidance and support. We take a comprehensive approach with our dental clients. This translates into dental tax planning meetings, the ability to address special dental projects, and a network of trusted dental resources available outside of our firm. Facebook fans 494. Twitter followers 6,786. Santa Monica, CA About Blog Welcome to Gumbiner Savett Inc., an assurance, tax, and business advisory firm dedicated to being a preeminent service provider and partner to growth-oriented businesses, middle market enterprises and high net worth individuals. Facebook fans 156. Twitter followers 219. Indianapolis About Blog CPA Center of Excellence® is a entity for research, best practices, leadership, support and training in the focus area of vital business skills and talent management for professional service providers, especially CPAs. Our foundation is competency-based learning and collaboration. CoE is powered by the Indiana CPA Society. Facebook fans 91. Twitter followers 140. About Blog Baldwin Accounting CPA, P.A. (BACPA) is a public accounting firm in Orlando, Florida that offers services in the areas of auditing, review, accounting, tax, and management consulting. We are members of the American Institute of Certified Public Accountants, (AICPA). Clark, NJ About Blog Spire Group, PC is a New Jersey certified public accounting firm committed to innovative thinking and highly personalized service, with offices in Livingston and Clark. Find out the latest developments about accounting, tax & consulting from our company blog. Orlando, FL About Blog The digital CPA is a cloud-based accounting firm helping small to medium businesses flawlessly integrate work and life. Helping you integrate work and life so you can devote more time to what's important. Facebook fans 638. Twitter followers 1,658. Austin, TX About Blog Atchley & Associates, LLP is a full service Certified Public Accountant firm providing attestation services, tax services, business consulting services, accounting services, political campaign reporting services and litigation support services. Facebook fans 111. Twitter followers 115. 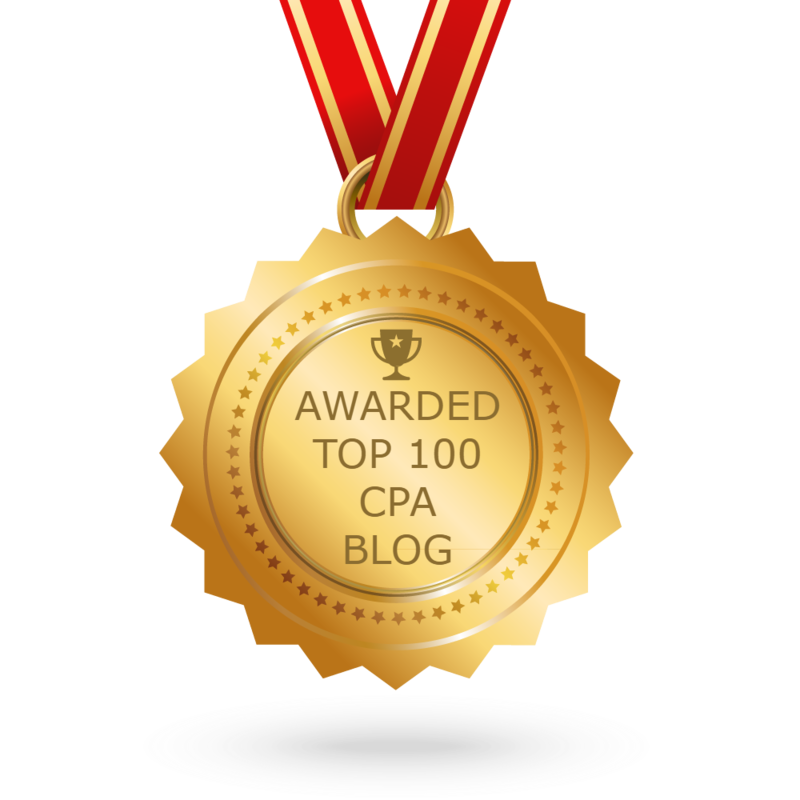 Nashville, TN About Blog Price CPAs blog offers great, practical tips for CPAs. Posts range from updates on the legislation affecting the tax code, to business travel tips, to managing a small firm effectively. Take a look at our blog for press, news and tips from the experts. Facebook fans 236. Twitter followers 256. British Columbia, Canada About Blog xBorderPros.com is a site dedicated to providing resources for those interested in Moving to Canada, interested in learning more about their cross border investments and those that need help in navigating cross border tax issues. Burbank, CA About Blog Whether business or personal tax preparation and planning, you can count on us to count for you! Count on us and our CPA firm to provide the best accounting and tax services possible. We use the latest technology including state of the art tax software and e-filing to make sure your tax refunds and other reporting items are processed correctly and efficiently. Facebook fans 46. Twitter followers 4,378. Houston, TX About Blog PKF Texas is the premiere middle-market CPA firm in Houston with a 30 year history focused on assisting entrepreneurial-minded businesses with audit and tax compliance and consulting services. We help international, energy, manufacturing/dist, VC & PE backed cos. w/ audit, internal audit, accounting, tax, joint venture, fraud, profit enhancement. Facebook fans 160. Twitter followers 1,340. About Blog Point CPA provide professional tax, accounting and advisory services to a diverse group of individuals and industries. Dunwoody, GA About Blog SDA CPA Group has proudly provided accounting and tax services for over twenty years for metro Atlanta and surrounding areas. Our mission is to bear the burden of the financial, accounting, and tax needs of our clients, enabling them to devote themselves wholly to the development and operation of their businesses. Facebook fans 72. Twitter followers 67. Charlotte, NC About Blog Nesha Pai Singer launched Pai CPA, PLLC to serve the accounting needs of small to medium-sized businesses. By combining our expertise, experience and high work ethics, each client receives close personal and professional attention. We are your outsourced Accounting Department. Here to transform accounting and networking. Facebook fans 791. Twitter followers 136. About Blog Keep up on the latest accounting and tax news by following the blog of Orange County CPA firm, GKG. Facebook fans 189. Twitter followers 136. Southlake, TX About Blog Knutson CPA, PLLC provides businesses in the DFW area with Certified Profit First planning, bookkeeping, taxes and Intuit-certified QuickBooks training. Knutson CPA Blog with helpful business and accounting advice for business owners and managers. Facebook fans 254. Twitter followers 1,106. Dublin, CA About Blog Palma Financial Services is a bilingual, full-service CPA, tax, and accounting firm providing financial planning services to individuals, corporations, and small businesses in the Dublin area. Facebook fans 1,846. Twitter followers 1,229. Westbury, NY About Blog Our certified public accounting (CPA) services are designed to make your job easier and provide you with more time to focus on building your business. We stay aware of tax law changes throughout the year to ensure that you benefit from all available tax incentives. Facebook fans 14. Twitter followers 2,182. Washington, DC About Blog Charles P Myrick CPA specializes in accounting and business advisory services for small businesses including start-ups, and aspiring entrepreneurs. We provide quality personalized financial guidance to individuals and businesses. Facebook fans 414. Twitter followers 246. MA - ME - NH About Blog O’Hare Associates, CPAs helps individuals and businesses throughout New England with IRS representation, tax services, tax resolution and financial advisory. We provide fast, reliable and professional support. O’Hare Associates was founded by tax expert and author, Sean T. O’Hare – known as Boston’s go-to CPA for tax support and tax resolution. Facebook fans 477. Twitter followers 13. DeRidder, LA About Blog Carletta M. Price, CPA, APC is an accounting and tax CPA firm. We specialize in income tax preparation & small business accounting and bookkeeping. Our CPA office has served Southwest Louisiana for over 15 years. We provide accounting, tax preparation, and tax resolution for individuals and businesses. Facebook fans 362. Twitter followers 7. Scottsdale, AZ About Blog Professional CPA Accounting firm serving Scottsdale and Phoenix Arizona for more than 40 years. Specializing in IRS Representation, Personal and Business Tax Preparation, Tax Planning and Strategy, Accounting and Bookkeeping, and more. Facebook fans 222. Twitter followers 4. NY area About Blog AKM adds value to your accounting processes enabling you to plan ahead, minimize your tax liability and reach your financial goals. Learn more about issues related to tax planning, tax compliance and other financial topics. Facebook fans 2. Twitter followers 38. About Blog Craig S. Hanson, CPA, is your premier, full service accounting firm in Jamestown, ND, offering year round availability and full range services. We also offers payroll services accounting services, tax consultation, and more! Knoxville, Tennessee USA About Blog Brian Tankersley, CPA.CITP, CGMA blogs on technology issues and news for accountants of all types. Posts regarding emerging technology with a slant toward items applicable for small professional service firms. Nashville,TN About Blog Evan Hutcheson, CPA, LLC is the go-to resource for accounting & financial management services in the Nashville area: a well-trained CPA ready to serve you. This firm offers a wide variety of tax preparation and bookkeeping services to individuals and small business owners. Facebook fans 79. Twitter followers 1,766. About Blog CPA Exam Hub is your best resource for CPA course review comparisons and pricing information on the web. Subscribe here for the latest news and events regarding the CPA exam and upcoming changes. Facebook fans 33. Twitter followers 797. Orland Park, IL About Blog The MPS|CPA accounting blog is your home for thoughts on industry trends and issues, news from around the financial world, and much more. Our MPS|CPA team supports the business and personal needs of our clients. Our ultimate goal is to help our clients prepare for trends that will impact their earnings and tax position so they can remain viable and strong. Atlanta, GA About Blog Marketing Strategies is a blog published by a marketing firm and seeks to help CPAs market their own firms. The blog provides advice on branding, strategy, email and social media campaigns, and other marketing tips for CPA firms. Use this blog for tips on how to better market your own firm. Facebook fans 329. Twitter followers 2,673. About Blog At Capstone CPA Group our goal is to help small to mid-sized businesses and individuals to empower them through education and accounting services. We achieve these goals by providing tax, accounting and education services to small business owners and to individuals with complex tax and accounting situations. Lodi, NJ About Blog lba CPA blog provides information and resources for informed tax payers and small business owners, offering unique perspective from a NJ CPA point of view.